Taken on the coast of New Zealand, this delightful early morning sunrise produced some magnificant colour. 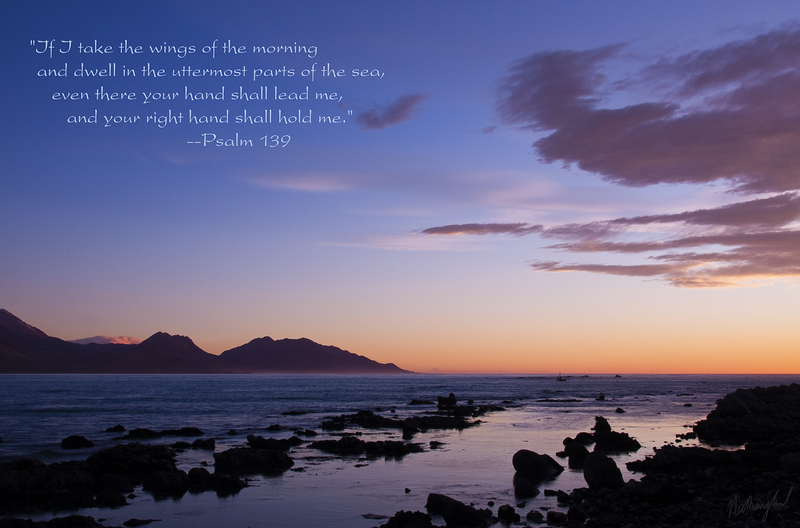 A verse from Psalm 139 captures the sentiment of this scene perfectly. The print is 76cm wide by 51cm tall, and 3cm thick, although different sizes are available upon request. Superior quality American-made, archival canvas that passes the "Blue Wool Test" which means it meets the standards set out by the UK Fine Art Trade Guild. Spray lamination to provide protection against dust, moisture, mould and abrasion. Finishing with acid-free framers tape and screw-in eyes. Framing on quality, profiled meranti stretcher bars.